Four of my friends have lost one or both of their parents in the past few years. My father died five months ago. I’ve watched and listened to how my friends have dealt with their loss, how they have helped their familias through this transition. 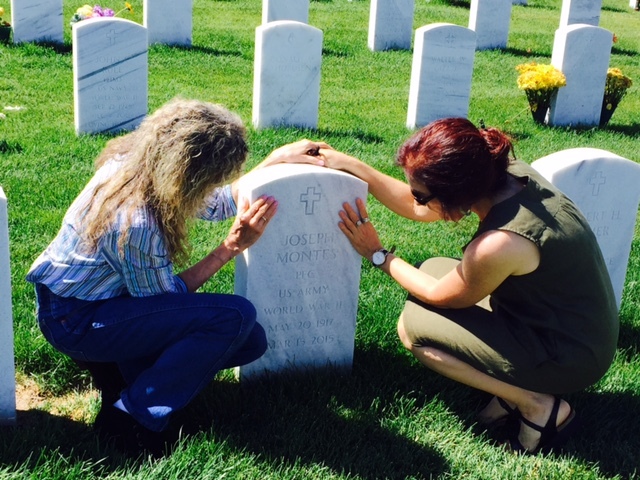 We’ve shared our grief, our camino through this time, creating another kind of familial bond of friendship. Since early June, I’ve been balancing my own writing schedule with moving my mother from the home she shared with my father to living next door to my sister. My sister and I created a plan and schedule to help my 92-year-old mother be as comfortable as possible in her new surroundings, in a new life without my father. Now that she’s more settled, I’ve balanced my writing schedule with reading to mi mamá. We read, share stories, she works on word puzzles, we share recipes, and we help each other when the grief surfaces. I encourage mi mamá to paint and color in a small journal. My sister and I walk together early in the morning, plan the day, and witness/soothe each other’s moments of grief. We also have many moments of levity—like when we took a small statue of St. Joseph and, at dawn, crept behind the bushes of our parents’ condo building to bury the statue upside down without someone noticing and wondering what we were burying in the flower bed, (click here for info on the tradition regarding burying St. Joseph to sell a house). We couldn’t stop laughing that morning. Then there are the mornings when we notice multitudes of rabbits along our route, or the distinct sound of woodpeckers, and the billowy clouds against the backdrop of mountains. I’ve come to cherish those morning walks with my sister. As well, my daughter and nephew who also live nearby remain close. My daughter and I regularly attend yoga classes. I’m fortunate to be in a loving network of familia which allows for healing and growth—a new weaving of familia. 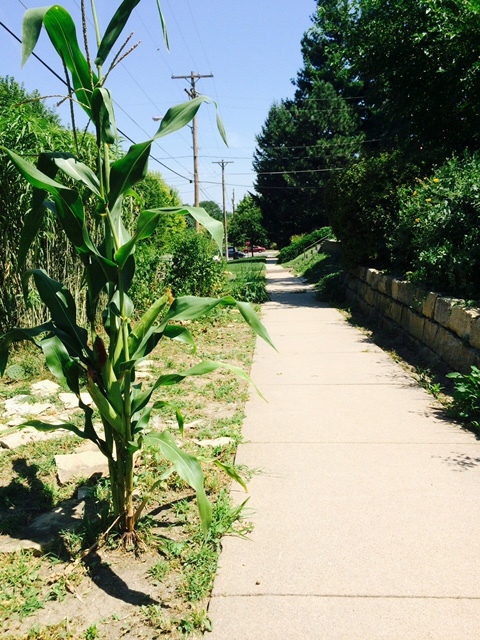 Today, a friend sent me a photograph of a volunteer maiz/corn plant growing healthy, tall, and strong in my front yard back home—two large ears of corn almost ready to be harvested. The photo reminded me of how mi papa would tell me about germinating and also harvesting corn when he was young, growing up in Topeka, Kansas--his community of newly arrived Mexican immigrants working the land. In her essay, “Nepantla Spirituality,” professor Lara Medina writes: “In Xicana circles, I see healing rituals and ceremonies proliferating, artistic venues evolving . . . 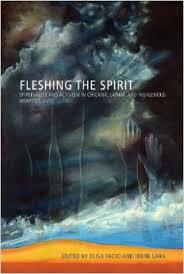 It is a spirituality deeply rooted in returning to the earth/cosmic-centered Indigenous knowledge of our ancestors . . . The return is not to a romanticized past, but to ancient epistemologies that value and understand fluidity and change, complementary dualities, yet ultimately a nonduality that exists behind all seemingly complementary opposites; energies as the qualities of the elements calling us to be in relationship with the universe; the power of the plant and animal medicines, the feminine as a distinct power; the feminine in balance with the masculine—a sacred complementary duality that exists in all, reciprocity between individuals and communities; and a 'deeper power/mystery' in life that creates, destroys, and transforms.” (Fleshing the Spirit, 168). Our summer here is within a modern setting and yet so much of what we do is indeed a return--daily story telling and writing, cooking food with the knowledge that what we choose to cook is medicinal, respecting and encouraging that "deeper power/mystery" as we move through these moments with intention. What is most vital are our pláticas at this time. 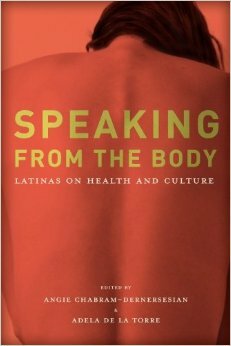 Professors Angie Chabram-Dernersesian and Adela de la Torre, in their book, Speaking From the Body: Latinas on Health and Culture, write: “Pláticas open the door to healing in ways that a simple medical encounter cannot . . . pláticas are an important part of this cleansing process for Latinas who treat disease holistically by reconnecting the mind and the body with the soul . . . Latinas’ diverse cultural identities, reciprocal familial obligations, and social networks continue to play a key role in their health narratives, suggesting that even beyond our geographic borders, ever-dynamic family cultural ties are key to how we treat illness” (164-65). Almost every afternoon and evening here, it rains, as it did when I would spend summers with mi familia en Mexico. We would experience hot days that would then cool into the afternoon with the approach of rain clouds. As I write this now, I hear the sound of thunder in the distance, and the rain salpicando sobre las ventanas. My mother, for some reason, has a fear of lightning and thunder. Unlike her, thunderstorms are one of my favorite events to experience. So I soothe her by saying, "these moments are when el cielo está platicando--is speaking words to us." At least I make my mother smile then. She'll respond, "Que bueno que te platica, hija. Saludale al cielo por mi parte, pero dile que no se acerca tanto." We laugh. Right now my mother sleeps in the next room. Soon after my father's funeral, she kept talking about how she wanted to follow my father, that there was no reason to be here now. In the last few weeks, she doesn't say that anymore. She continues to thrive in her new surroundings. Yet, I do not know how long she will be with us. But that does not matter now. What matters is our strong network of familia as we accompany each other through our various and diverse transitions. Beautiful piece, Amelia. Mil gracias! Thank you, Amelia, for sharing a little of your healing journey con nosotros. I love the thought of thunder as sky talking. Your mother's response me hizo reir. Blogging abrazos desde acá para allá.